The match started with threatening clouds and a strong wind and before long things deteriorated as heavy driving rain made conditions extremely difficult for players and spectators alike. ‘Ensians faced the elements in the first half and had to work hard in defence to cope with some lively play with the opposition backs and forwards combining well. After a fairly even first 30 minutes, the hosts took the lead with a second penalty and then went on to score three well-worked tries to give them a comfortable 23 – 3 lead on 47 minutes. Ten minutes later a melee broke out involving several players from both sides, and, after Ossett were spoken to by the referee, the visitors’ coach and captain decided to take their team off the pitch despite a request from the referee to continue. The reasons for this decision were unclear, but the action deprived ‘Ensians of a chance of earning a bonus point through another try. The Northern League Committee will decide in due course what the outcome of the match will be. Using the elements, the visitors took play into the ‘Ensian’ half and dominated possession for long periods. In the scrums the home front row of Greg Jones, Jim Dyson and Ross Nichols found it hard going and scrum half Rob Lofthouse had some very untidy ball to deal with. Things went better in the lineouts with locks Steve Wade and Jack Smith along with flanker Sam Featherstone competing well for a share of the ball. Pressure paid off for the visitors when they took the lead with a penalty on 14 minutes with winger Ben Hatton levelling the scores at 3 – 3 on 19 minutes. The lighter home pack grafted well to stop the visitors’ trademark driving mauls with impressive No. 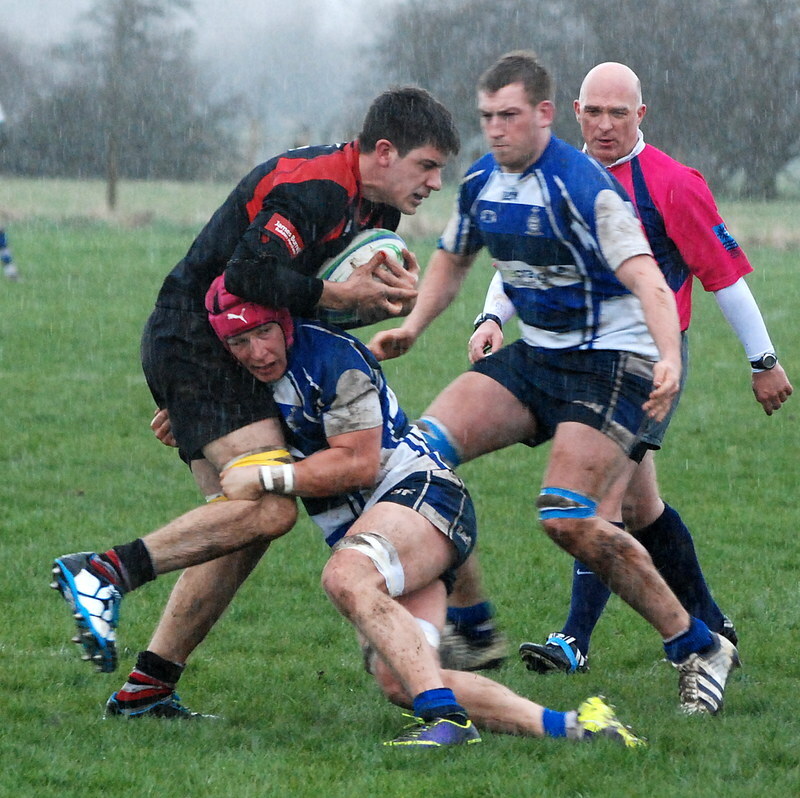 8 Lee O’Donnell and flankers Sam Featherstone and Callum Doherty always to the fore. The home side continued to spread the ball wide at every opportunity with centres Nathan Rogers and Luke Cowdell making good ground, but time and again strong defence by the Ossett midfield held out. A second penalty from Ben Hatton gave the hosts a 6 – 3 lead on 30 minutes and then centre Luke Cowdell spotted a gap on the blindside to race up the touchline, beating two defenders to score a fine try out wide. The conversion failed, but the home side now had an 11 – 3 lead on 36 minutes. Shortly before half time an Ossett player received a yellow card for a late tackle, having been on the end of an earlier warning. After the break Rob Arbuckle came on at No.8 for the injured Lee O’Donnell with Ali Campbell taking over at lock from Steve Wade. Ben Hatton also took over at scrum half from the injured Rob Lofthouse. With the elements now in their favour, the hosts were soon on the attack and from broken play, winger Declan Jackson received a slick pass to put him away to jink past several defenders and score half way out. Ben Hatton converted to stretch the lead to 18 – 3 on 44 minutes. ‘Ensians continued to dominate territory and strong drives by the home front five allowed half backs Ben Hatton and Luke Freer to mount several threatening attacks. Again Ossett defended well, but a short pass taken by lively prop Greg Jones on the burst produced a powerful run to slice through the defence for an excellent try in the corner. The conversion failed, but the home lead was now extended to 23 – 3 on 47 minutes. Ossett came back strongly, but their attempts to stifle ‘Ensians’ attacks led to frustration and infringements which produced a series of penalties. A long-range effort from Ben Hatton hit the post, but the visitors managed to work their way up to halfway where an injury to an Ossett player caused a stoppage of play. While the referee attended to the injured player as he received first aid, a spectator inadvisably came on to separate two players who’d had a disagreement some distance away and meanwhile, a brawl broke out involving five or six players from each side. Things calmed down and a discussion then followed between the referee and an Ossett player who had previously been warned. At this stage the Ossett captain and coach decided they did not want to continue with the game and the Ossett team walked off on 58 minutes. The RFU Northern League Committee will now have to decide if the result stands. There is no League action next week, but Cup-holders ‘Ensians are away to Keighley 2nds in the first round of the Aire/Wharfe Cup on Tuesday, 1st April, kick off 6.30 pm. 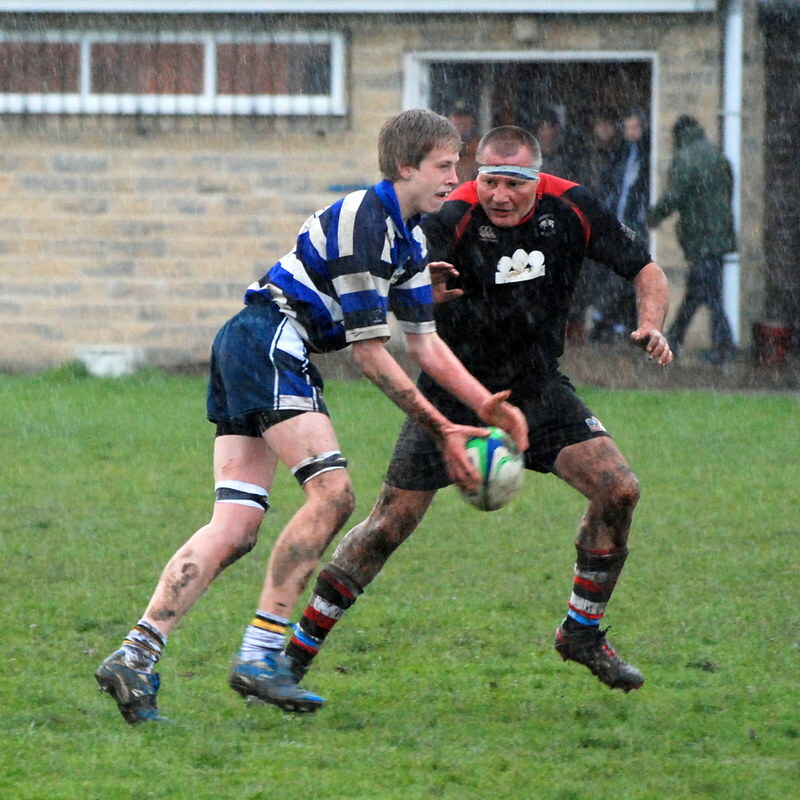 ‘Ensians 2nd XV came out on top 20 – 10 in an entertaining game against Ossett 2nds. Scorers were: tries – Andreas Xiarchos 2 and Josh Dyson. Connor Bateman - 1 penalty and 1 conversion.